HOW MUCH MONEY DO I NEED OUT OF POCKET PRIOR TO CLOSING? HOW MUCH MONEY SHOULD I HAVE SAVED TO BUY A HOUSE? Many varying factors affect the decision to buy a home or continue renting. How long do you intend to stay in the home? At what rate are property values increasing? Are rental rates increasing? How much do you have saved to support homeownership? If you want to know the current property trends of a specific neighborhood, email me with the neighborhood name and major cross streets. Typically the largest investment that people make in their lifetime, is buying a home. It creates our largest asset and often our largest debt. As such, the decision can be a very stressful. Because buying a home and financing a home are closely related, you will want to reexamine your finances. c. Start to analyze how much you can afford right now. See our mortgage calculator to estimate manageable monthly payments. With all of the unique options, opportunities and potential pitfalls in purchasing a home, it is important to get an experienced Real Estate Broker on your side. They will be your guide on your path to homeownership. Not only will they guide you to the best home for you they will also serve as your home buying “body guard,” making sure that you remain unharmed along the way. Good news, as a buyer, you don’t have to pay fees in order for a realtor to work on your behalf! The seller customarily pays for the commissions of both the listing and buyer’s agents. It is important discuss with your realtor about “Buyer Agency” to ensure you have an agent to will advise and advocate for your best interest. Prior to viewing homes you will need to get prequalified for your financing. You can work with your bank or credit union, or speak to a reputable mortgage broker. They will review your financial information such as your credit, income and debt obligations, and put it into their formula to calculate how much debt you can support in a mortgage. In the current market, homes sell fast! You will want to have your financing in place so you can submit an offer the day you find your dream house. So you know how much you can afford. You don’t want to find your dream house and then find out you can’t afford it. This helps to avoid a serious heartbreak! Many homes on the market today do not qualify for purchase with all types of financing. For example, due to the property’s condition (broken windows, bad roof, peeling paint, etc.) some homes cannot be purchased with an FHA loan. It is better to know what type of loan you qualify for, and then find a house that fits your loan type. If you need to ask the seller for closing costs, it’s better to know that when you are looking for a house. Some sellers say outright that they won’t contribute to the buyer’s closing costs. Bonus features: Bungalow style, close to a park, southern exposure of kitchen window, etc. As you look at homes and become familiar with what is available in your price range, you may need to reprioritize your list. 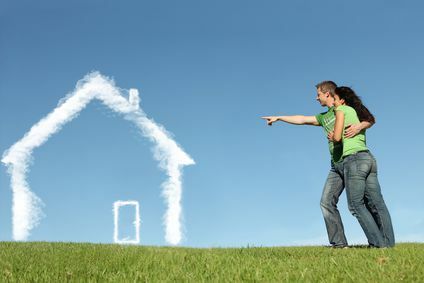 Sometimes finding a home feels like aiming at a moving target, but we are here to help you keep aiming toward your dream home, regardless of the changing variables. Online websites provide a great place to see what is available on the market. Make sure to use our powerful search tool (click here), which is updated to the minute so you won’t waste your time browsing homes that are already under contract. 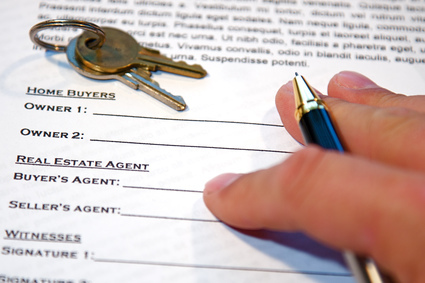 To make an offer, realtors use standard contract forms, approved by the Colorado Real Estate Commission. Your agent will help you write the offer so that it clearly dictates the terms that are the most beneficial to you, such as: purchase price, closing costs paid by the seller on the buyer’s behalf, closing date, etc. We will work on your behalf to extract as much information from the listing agent about the seller as possible and use it to your advantage. We will utilize our experience and implement tactful strategies to get the best deal possible for you. When the seller receives the offer they can either, reject, counter or accept your offer. Successive counter-offers can occur before a final agreement is reached. We will guide you through the process. Once you have a pending agreement, your earnest money is due within 24-48 hours. Earnest money or deposit is sometimes referred to as “consideration,” meaning that you as the buyer put money on the table to show that you earnestly desire to purchase the property and will take the necessary steps to consummate the transaction. Earnest money is held either at a title company or in a Real Estate company escrow account until closing. At closing it will be credited towards your down payment. If you need to cancel the contract prior to closing, you will often receive your earnest money as a refund if you terminate before the contractual deadline. Your realtor will vigilantly notifiy you of the contract deadlines to ensure the protection of your earnest money throughout the transaction process. Now that you placed the home you want under contract, you need to return to your selected lender and complete your loan application. Since your lender already preapproved your loan, completing your application should remain a fairly straight-forward process. At this point you lock in your interest rate, solidify your closing costs, and determine the estimated amount of money need to bring to the closing. As the buyer, you hold the right to shop around for the best interest rates and terms for your mortgage. *Buyer beware: Some lenders will quote very low interest rates, but then off-set low interest rate costs behind the scenes ultimately costing the buyer more. If it sounds too good to be true, it probably is. When you compare lenders, make sure you obtain more information than a rate quote. Ask for a Good Faith Estimate, which itemizes all of the terms and loan expenses. When you have Good Faith Estimates from a few different lenders you can accurately compare apples to apples. Buyers can chose from several different types of inspections. Payment for all inspections is due upon completion of the service. General Inspection – This is the most standard inspection process which buyers generally choose. Costs for General Inspections range from $250 to $500, depending on the square footage of the house and the inspector selected. During the 3-5 hour inspection, they examine the functionality of all major house components of the house, such as the roof, electrical system, plumbing, furnace, hot water heater, windows, appliances, siding, grading/drainage around the house, etc. While inspectors are not structural engineers, they do look for major cracks or significant settling of the foundation. If they find damage that seems to be beyond their scope of knowledge, they will recommend that you hire a licensed structural engineer to further inspect the foundation. Sewer Scope – The General Inspector will examine plumbing inside of the house only, the scope of their work does not include inspection of the sewerline. You will need to hire a sewer technician who sends a camera down the sewer line to inspect for any major cracks or blockage of the sewer line. Lack of periodic cleaning or extensive tree roots can cause clay sewer lines to crack. Depending on the location of the plumbing damage (under a grassy yard, or under a paved sidewalk) repairs can cost anywhere from $2,000-12,000. Radon Test – Radon is a gas emitted by the earth and is often found in basements that lack proper ventilation. Radon gas can damage the health of humans and pets. Testing for radon costs between $100 and $150. To get a proper radon reading, the house must remain air tight for the three-day duration of the test. (The front door can be opened and closed quickly to enter and exit the house, but windows should remain closed to prevent air from flowing freely.) If positive test results ensue, installing a system to regulate consistent ventilation can mitigate radon levels. For more details on Radon, click here to view our report. Depending on the type of house plan to buy, you may ask the seller to make repairs in order to mitigate any possible inspection issues. If you are buying a bank owned foreclosure or a pre foreclosure short sale, don’t bother asking them to make repairs. They won’t. These homes sell AS IS. However, we still recommended that you inspect the property so that you know about any issues before purchasing. If major issues or work beyond your ability to complete arise from the inspections, you can often cancel the contract and receive your earnest money back. However, any cancellation must take place during the inspection period. Once you agree with the seller on inspection items, you can move forward by ordering the appraisal. Your lender should order the appraisal on your behalf. At closing you will pay for the appraisal along with final closing costs. The appraisal informs your lender of the property’s current market. This enables the lender to ensure that the value of your loan does not exceed the value of the house. If you are purchasing with cash, ordering an appraisal is optional. You can order an appraisal for your personal knowledge, but your bank does not require this information. 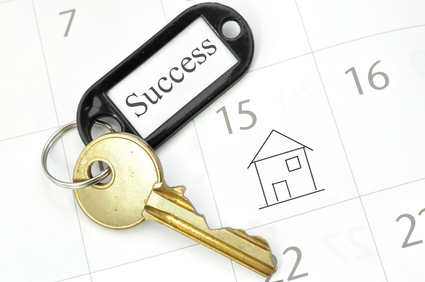 Overall, it takes roughly 30 days to complete the entire loan process, from signing the formal application to closing. Your lender must send the completed file to the underwriting department for review. For the underwriting department to give their final approval and issue the final figures, they must ensure that you, the borrower, and the property meet all necessary requirements. Once they fully approve the loan, they will send final figures to the title company for preparation of the closing documents. The final document, “HUD-1 Settlement Statement,” will show exactly how much money you need to bring to closing. The day before or day of closing you will complete a Final Walk-Through of the house with your Realtor to ensure the home remains in the same condition as the time of inspection. Closing will typically take place at a title company office. In the state of Colorado, buyers and sellers will often go to closing at the same time. The closing agent (a representative of the title company) sits at the head of the table, the sellers and their agent sit on one side of the table and the buyers, their agent and lender sit on the other side of the table. The closing agent will facilitate the closing, by explaining all of the documents and making sure that everyone signs and initials on the appropriate pages. To closing you will need to bring two forms of ID and your cashier’s check for the total amount due. Once the loan documents and real estate documents are signed, the lender wires the funds and the transaction is complete! 13. Possession of your new home! Possession times vary depending on occupancy of the property. Possession transfers take place as agreed upon by buyer and seller. If the property is vacant, transfer of possession typically occurs at closing, immediately after completion of the fund transfers. Now that you hold keys to your new home, it’s time to celebrate all of your hard work and patience. Most of all, you achieved your goal of homeownership! In today’s market you can put down anywhere from $100 down to 20% of the purchase price, or more. A special program with HUD homes allows you to only put $100 down if you are purchasing a HUD home with an FHA loan. Deals like this are few and far between, but they exist. Some Down Payment Assistance programs allow you to put only $1,000 down and provide you with a small loan for the remainder of the down payment. The average first time homebuyer puts down 3.5% of the purchase price. If you put down 20% you do not have to pay mortgage insurance, which can costs over $200 extra per month on your mortgage payment. Earnest money: The average for a first time buyer is $1,000 to $5,000 or 1-2% of the purchase price. This is due within 24-48 hours of going under contract. Typically earnest money is paid in the form of certified funds or a cashier’s check. The check is cashed and the funds are held at the title company or in a Real Estate escrow account until closing. Earnest money is added to your down payment at closing. Payment for Inspections: General Inspection: $200-400. Radon Test: $100-150. Sewer Scope: $100-170. Additional inspections are available, but less common, such as an evaluation by a Structural Engineer. Remaining funds are due at closing. If the seller has not contractually agreed to pay your closing costs, you will be responsible for them at closing, aproximately $3,000-6,000. Obviously you will need enough to cover your down payment, inspections and closing costs, but how much extra money should you have saved? It is wise to have six months worth of living expenses saved up in case of an emergency. Heaven forbid you should lose your job unexpectedly the week after closing on your new house. Or maybe you experience an injury and can’t work for several months? It is smart to have several months of emergency cash saved up in a fairly liquid account. Even if your new home is “move-in ready” you will want to have more than your down payment saved so you can settle into your new home. For example, you may want to purchase new furniture (when you find your old set doesn’t look quite right) or new appliances, or a lawn mower for your newfound lawn, etc. There is nothing worse than feeling like you can’t go eat out or enjoy fun outings because making your mortgage payments each month requires you to save all your money. Set yourself up for joy and excitement instead of stress and worry. Have plenty of emergency and back-up funds so you can enjoy your new home!